Nearly half of consumers said they aren't planning to contribute to an IRA for their retirement, because they can't afford to. 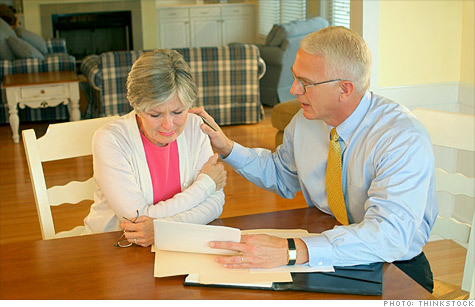 NEW YORK (CNNMoney) -- America has a serious problem saving for retirement. About 49% of Americans say they aren't contributing to any retirement plan, according to a new survey conducted by LIMRA, a trade association for the financial services industry. "The findings from this survey were disturbing, given that people will increasingly need to rely on their personal savings to make ends meet in retirement," said Matthew Drinkwater, associate managing director at LIMRA's retirement research division. People ages 18 to 34 are the least likely to be saving, with 56% reporting that they are not currently contributing to a retirement plan like an IRA or a 401(k). "In order to have the adequate savings necessary to meet their financial needs in retirement -- which could last 20 or more years -- it is critical that these individuals begin saving systematically early in their working years," Drinkwater said. The study was conducted in April, and LIMRA surveyed 2,697 Americans.